Well done to Ms Vekaria who won the GOLD Plato trophy for being the winner of the 2016 Pearson Teaching Awards 'Teacher of the Year in a Primary School'. The award was presented to Ms Vekaria by Brendan Cole from 'Strictly Come Dancing'. 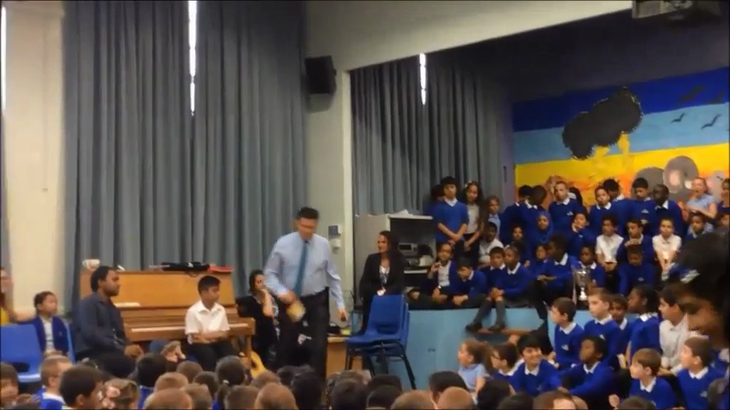 Ms Vekaria loves 'Strictly Come Dancing' and even had a quick dance with Brendan! Well done Ms Vekaria on this absolutely fantastic achievement! Well done Ms Vekaria! Hooray!!! We are very proud of Ms Vekaria being the WINNER of the Silver Pearson National Teaching award. This is a very prestigious award and a great achievement for Ms Vekaria and Uxendon Manor Primary. Out of thousands of applicants across the country, Ms Vekaria was selected as the Winner. Members of staff nominated her as a worthy winner and she was then observed teaching by the judges. They also spoke to many staff and children in the school before making this decision. In honour of winning this award she has been invited to the House of Commons for tea and will be attending a televised event at Guildhall in October. Watch out for this on BBC television. Please join us in congratulating Ms Vekaria on this amazing achievement. We are very proud of her! 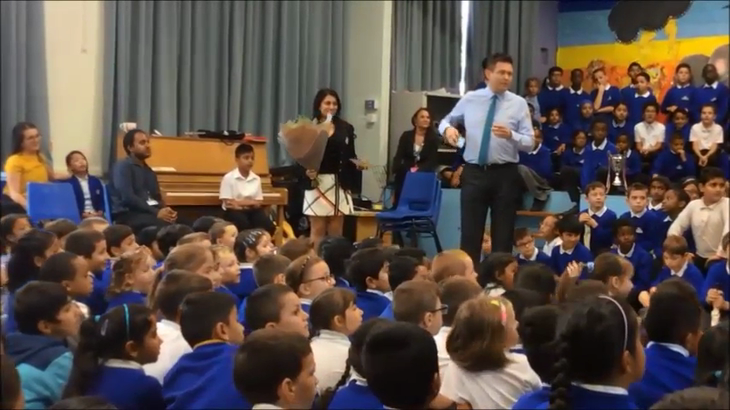 You can watch the video below of Mr Parry presenting this award to Ms Vekaria in assembly.